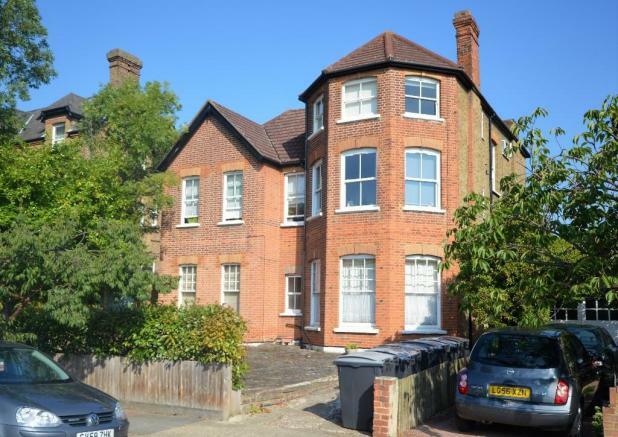 Top floor studio apartment within this well looked after Victorian apartment block ideally located within 15/20 minutes walk of Surbiton station. Avenue south is a quiet residential street popular for its tree lined and suburban surroundings. Although requiring some modernisation the flat itself benefits from large lounge area with built in wardrobes, ample size kitchen, neutral tiled bathroom suite & private lockable shed within the communal garden. Share of freehold and sold with no onward chain this studio apartment is perfect for first time buyers on a budget or investors looking to value for money. Disclaimer - Property reference F1217AvenueSouth. The information displayed about this property comprises a property advertisement. Rightmove.co.uk makes no warranty as to the accuracy or completeness of the advertisement or any linked or associated information, and Rightmove has no control over the content. This property advertisement does not constitute property particulars. The information is provided and maintained by Parry & Drewett, Chessington. Please contact the selling agent or developer directly to obtain any information which may be available under the terms of The Energy Performance of Buildings (Certificates and Inspections) (England and Wales) Regulations 2007 or the Home Report if in relation to a residential property in Scotland.